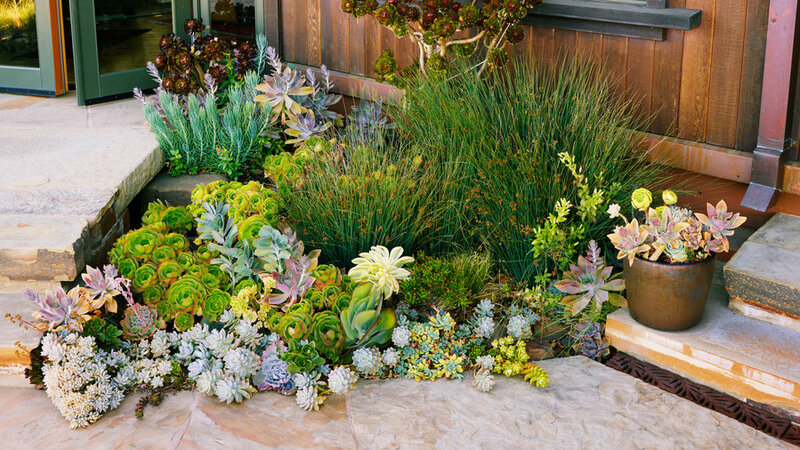 Roof runoff spills from downspouts into a shallow depression planted with grasses and succulents. Slabs of Arizona flagstone form bridges over rock-lined channels. The rocks help slow the flow of water underneath. Rocks such as this one, partially wedged beneath a bridge, help hold back water in places along channels, so some of it soaks the soil en route. 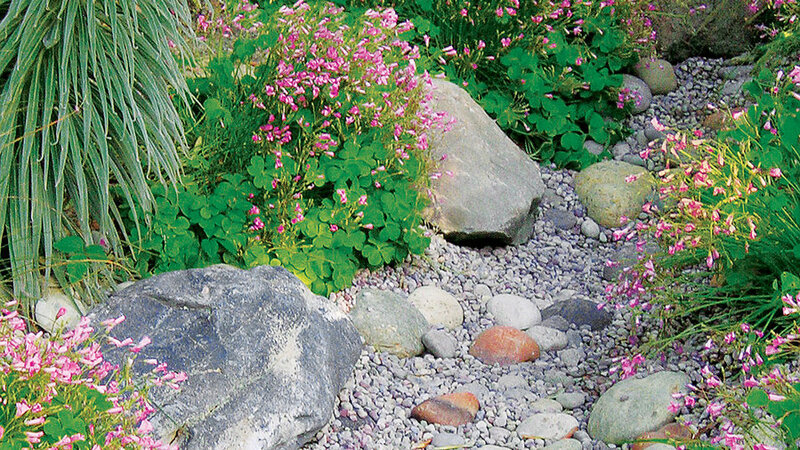 Dry creeks lined with rocks and pebbles direct the water downslope and away from the house. 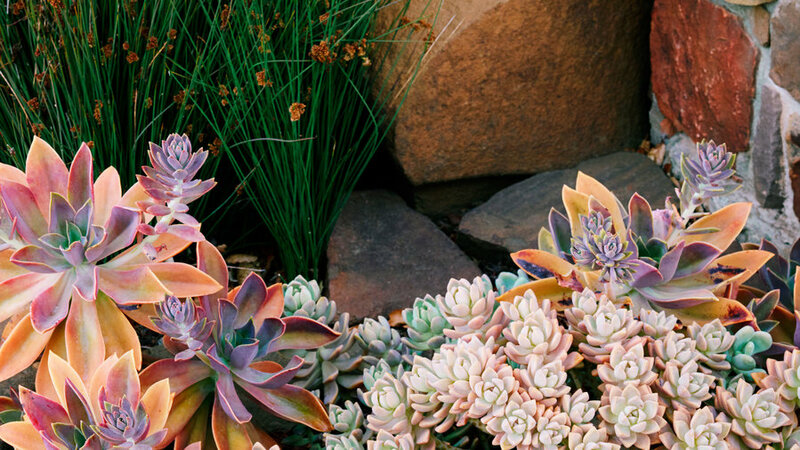 Succulents and grasses flank this one. 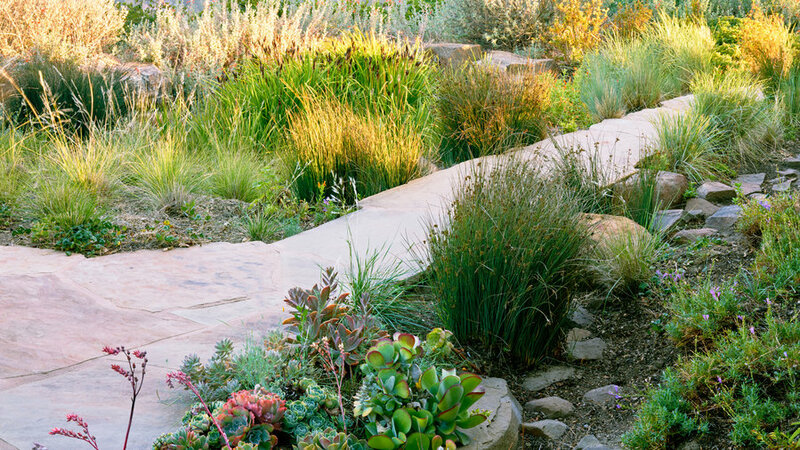 The simplest form of a rain garden is a shallow basin located at least 10 feet from your house, where you can direct runoff from your roof or paved surfaces. Dig a 6- to 12-inch-deep basin with sloped sides and a flat bottom in fast-draining, well-amended soil. 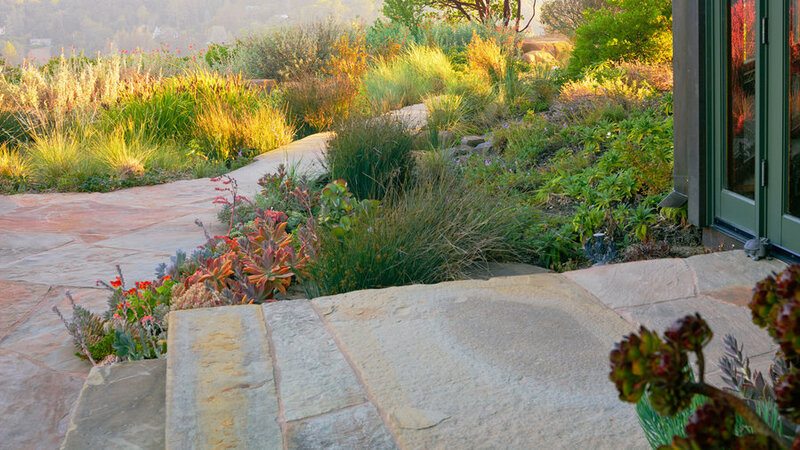 Plant it with species that can take both wet and dry conditions. 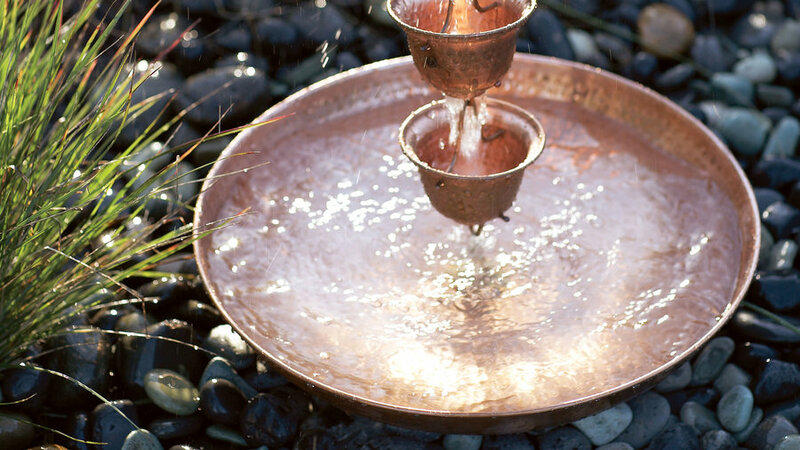 This 14- by 24-foot-wide basin holds up to 18 inches of water. Grasses and native irises fill it. California fuchsia, which likes dry conditions, grows on the brim. Find more guidelines at . Attached to a roof gutter, it channels rainwater from the roof into a catchment basin. Each holds about 50 to 60 gallons of water. The best kinds are made from recycled food-grade plastic with an intake line, spigot, overflow attachment, and removable cover. 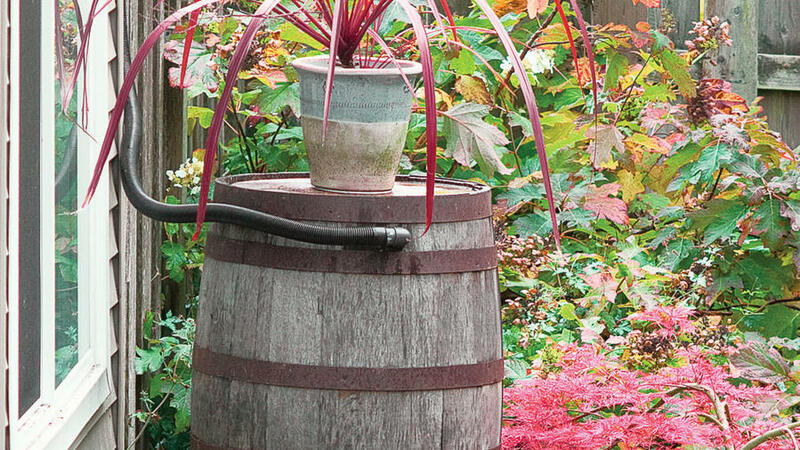 Place the barrel under a downspout. 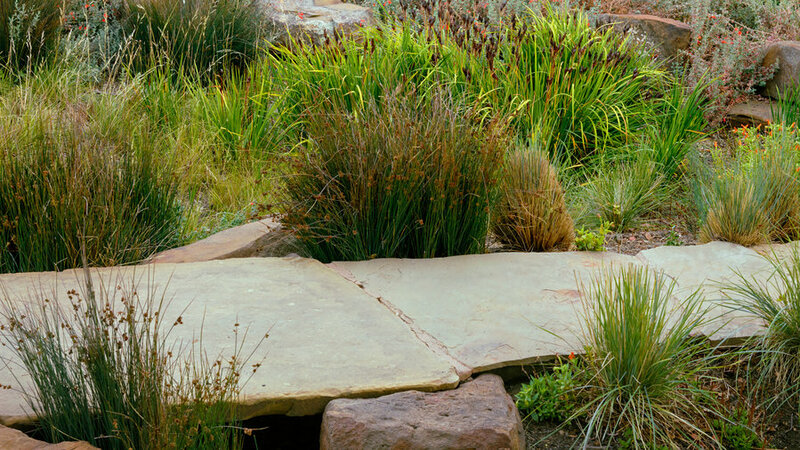 A staple in the Southwest where monsoon rains can come suddenly, dry creek beds can channel water to basins in a garden’s low points. Just dig a trench from 2 to 5 feet deep, then line it with stones and sand-colored pebbles. Узнайте про важный интернет-сайт на тематику www.yarema.ua.